USES 1. 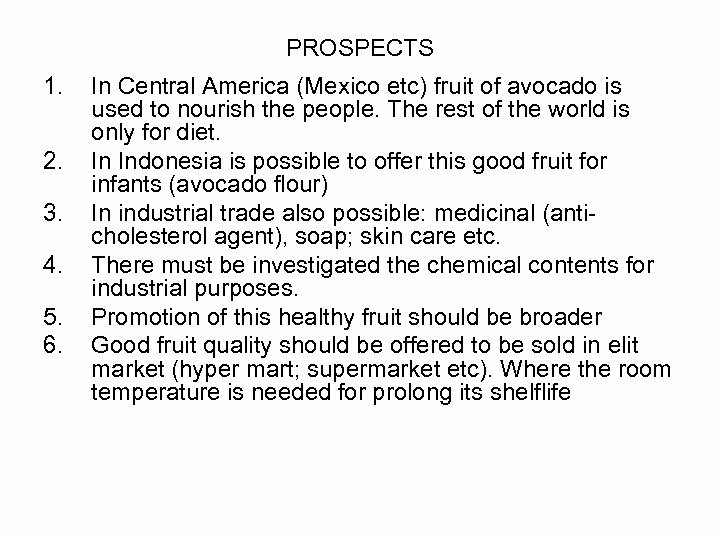 The nutritioud fruits important in the diet of Central America: uncooked savoury dish mixed with vegetatble; sweetened in Indonesia 2. 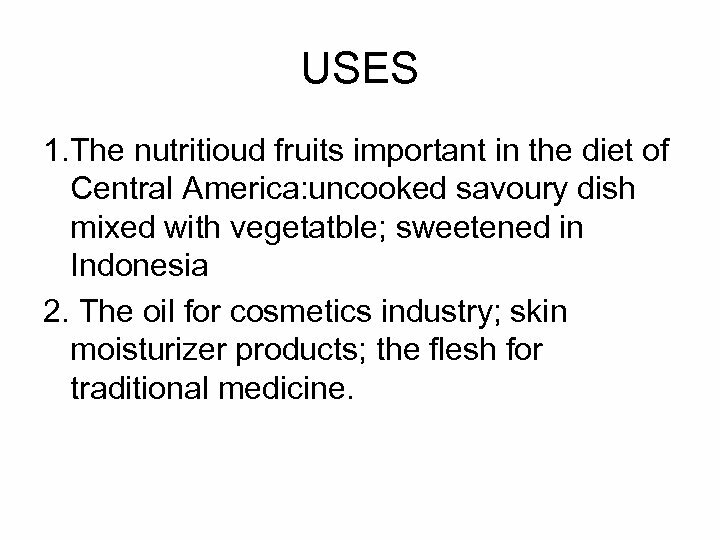 The oil for cosmetics industry; skin moisturizer products; the flesh for traditional medicine. GROWTH AND DEVELOPMENT 1. 2. 3. 4. 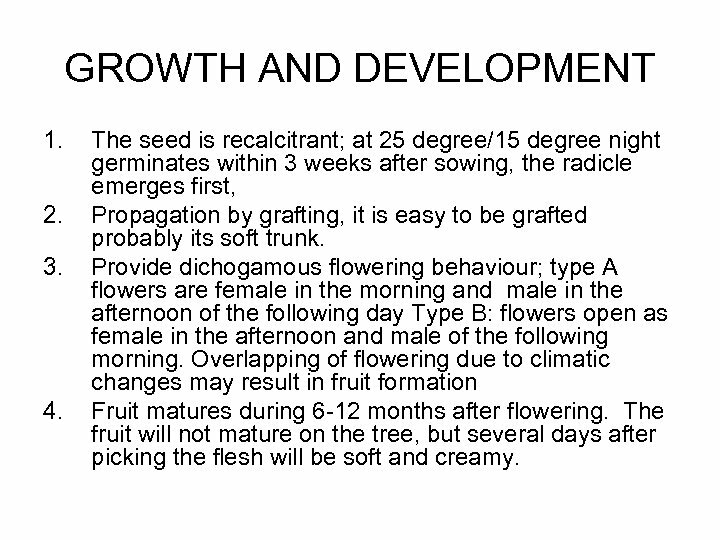 The seed is recalcitrant; at 25 degree/15 degree night germinates within 3 weeks after sowing, the radicle emerges first, Propagation by grafting, it is easy to be grafted probably its soft trunk. 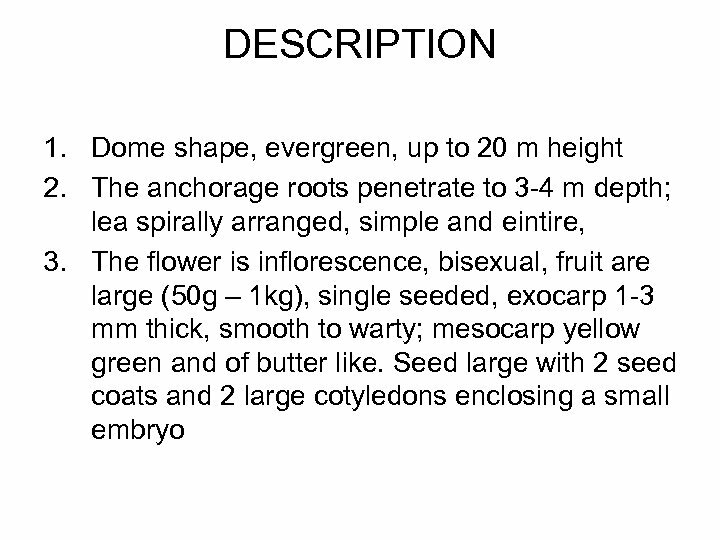 Provide dichogamous flowering behaviour; type A flowers are female in the morning and male in the afternoon of the following day Type B: flowers open as female in the afternoon and male of the following morning. Overlapping of flowering due to climatic changes may result in fruit formation Fruit matures during 6 -12 months after flowering. The fruit will not mature on the tree, but several days after picking the flesh will be soft and creamy. 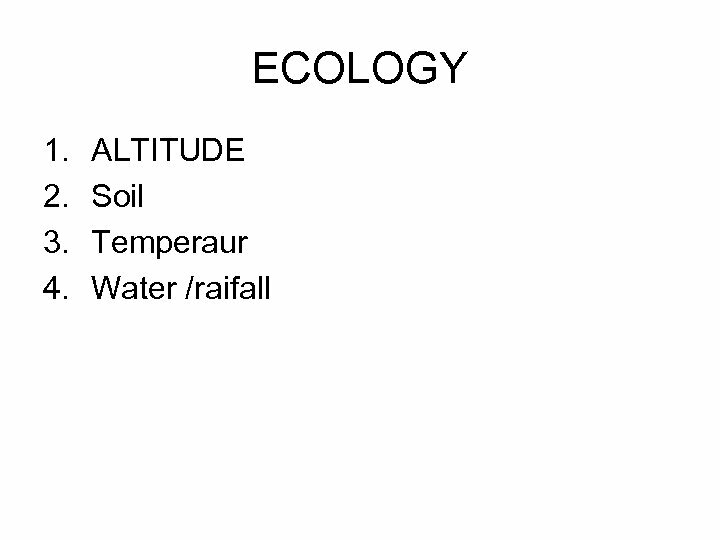 ECOLOGY 1. 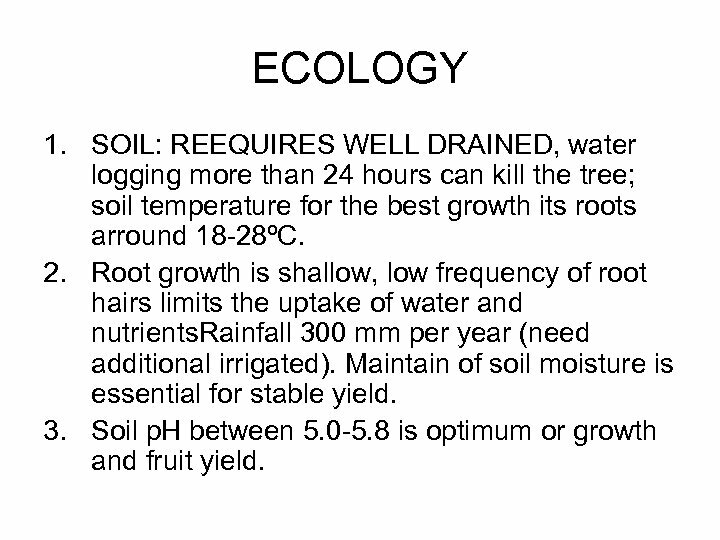 SOIL: REEQUIRES WELL DRAINED, water logging more than 24 hours can kill the tree; soil temperature for the best growth its roots arround 18 -28ºC. 2. Root growth is shallow, low frequency of root hairs limits the uptake of water and nutrients. 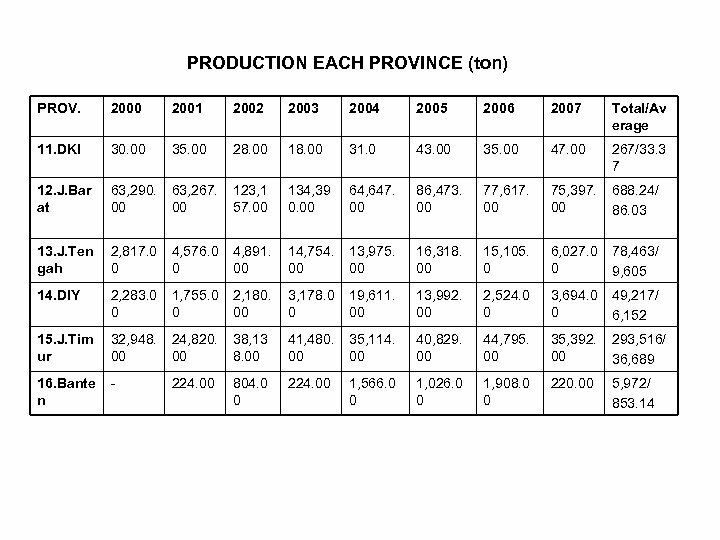 Rainfall 300 mm per year (need additional irrigated). Maintain of soil moisture is essential for stable yield. 3. Soil p. H between 5. 0 -5. 8 is optimum or growth and fruit yield. 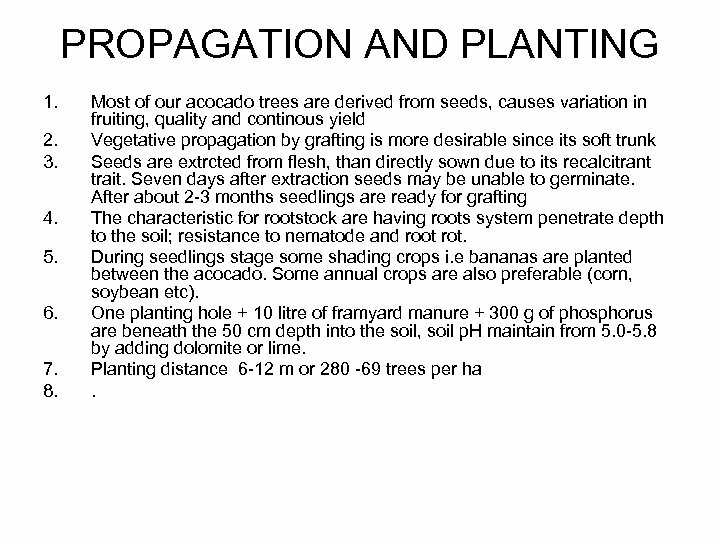 PROPAGATION AND PLANTING 1. 2. 3. 4. 5. 6. 7. 8. Most of our acocado trees are derived from seeds, causes variation in fruiting, quality and continous yield Vegetative propagation by grafting is more desirable since its soft trunk Seeds are extrcted from flesh, than directly sown due to its recalcitrant trait. Seven days after extraction seeds may be unable to germinate. After about 2 -3 months seedlings are ready for grafting The characteristic for rootstock are having roots system penetrate depth to the soil; resistance to nematode and root rot. During seedlings stage some shading crops i. e bananas are planted between the acocado. 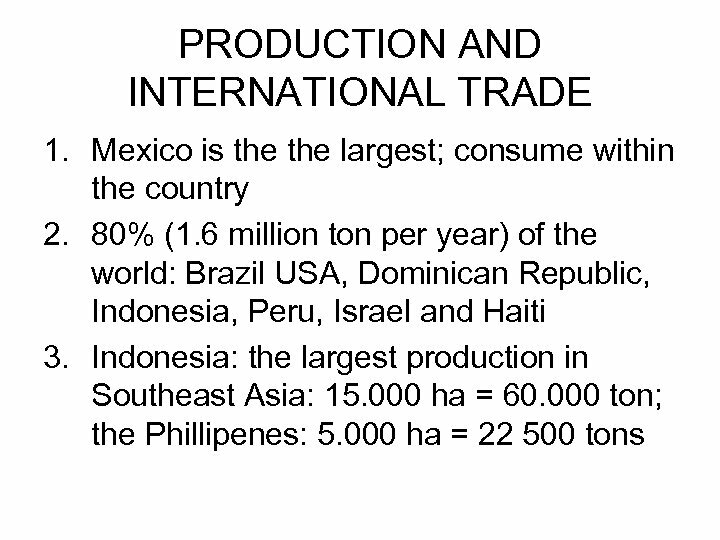 Some annual crops are also preferable (corn, soybean etc). One planting hole + 10 litre of framyard manure + 300 g of phosphorus are beneath the 50 cm depth into the soil, soil p. H maintain from 5. 0 -5. 8 by adding dolomite or lime. Planting distance 6 -12 m or 280 -69 trees per ha. DISEASES AND PESTS 1. 2. 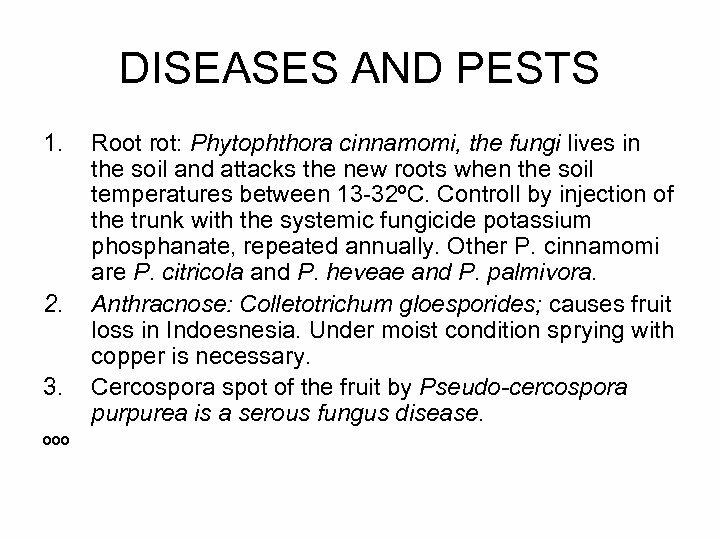 3. ººº Root rot: Phytophthora cinnamomi, the fungi lives in the soil and attacks the new roots when the soil temperatures between 13 -32ºC. Controll by injection of the trunk with the systemic fungicide potassium phosphanate, repeated annually. Other P. cinnamomi are P. citricola and P. heveae and P. palmivora. 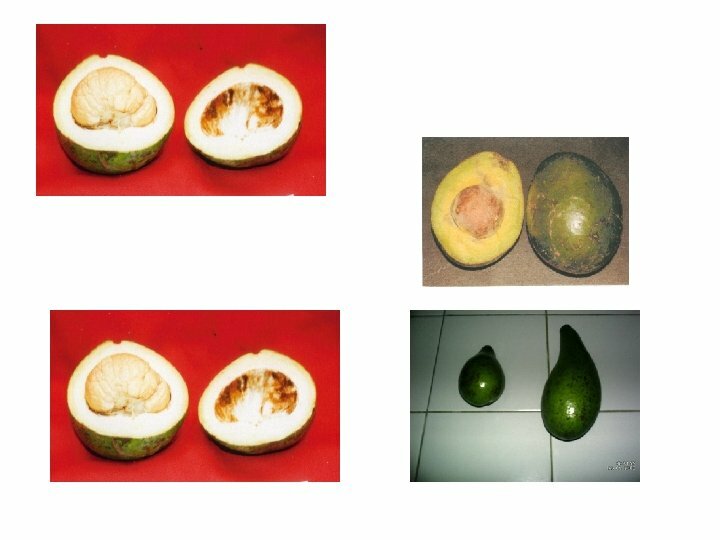 Anthracnose: Colletotrichum gloesporides; causes fruit loss in Indoesnesia. Under moist condition sprying with copper is necessary. Cercospora spot of the fruit by Pseudo-cercospora purpurea is a serous fungus disease. 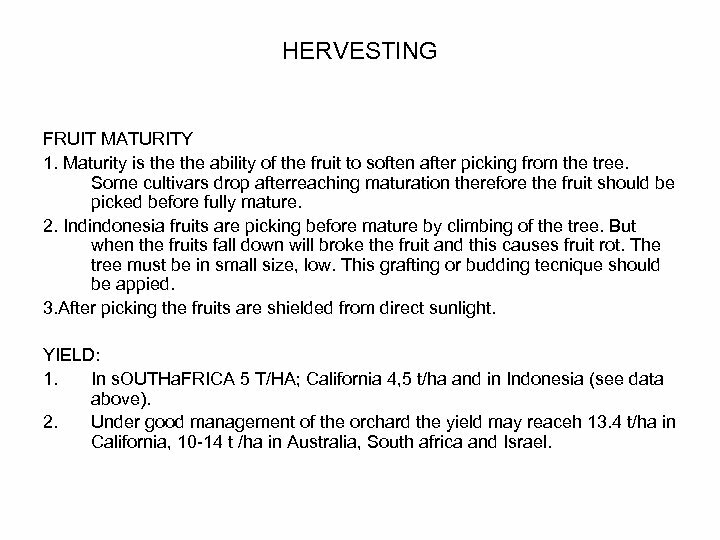 HERVESTING FRUIT MATURITY 1. Maturity is the ability of the fruit to soften after picking from the tree. Some cultivars drop afterreaching maturation therefore the fruit should be picked before fully mature. 2. Indindonesia fruits are picking before mature by climbing of the tree. But when the fruits fall down will broke the fruit and this causes fruit rot. The tree must be in small size, low. This grafting or budding tecnique should be appied. 3. After picking the fruits are shielded from direct sunlight. YIELD: 1. In s. OUTHa. 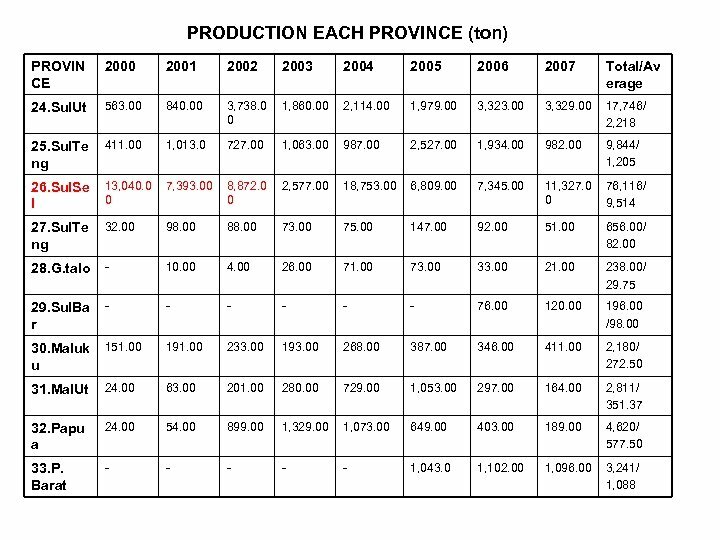 FRICA 5 T/HA; California 4, 5 t/ha and in Indonesia (see data above). 2. Under good management of the orchard the yield may reaceh 13. 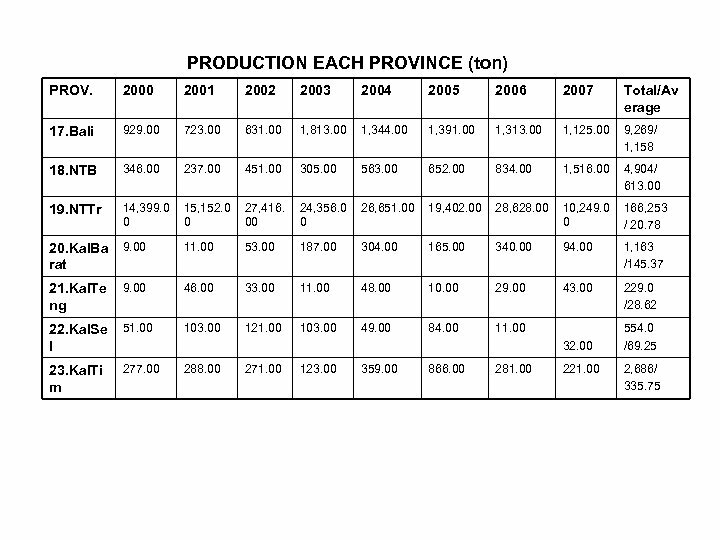 4 t/ha in California, 10 -14 t /ha in Australia, South africa and Israel. 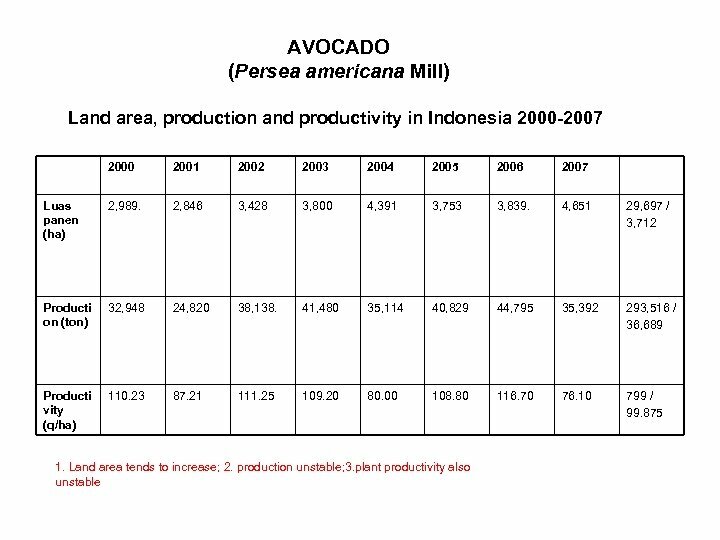 AVOCADO IN ARROUND MALANG 1. 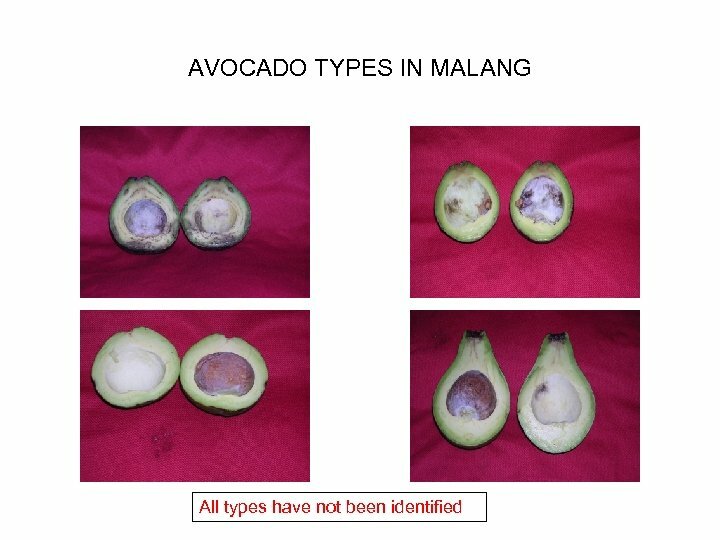 Malang is known as avocado center the larger area is in Kecamatan Tumpang, Ngantang, Singosari etc. 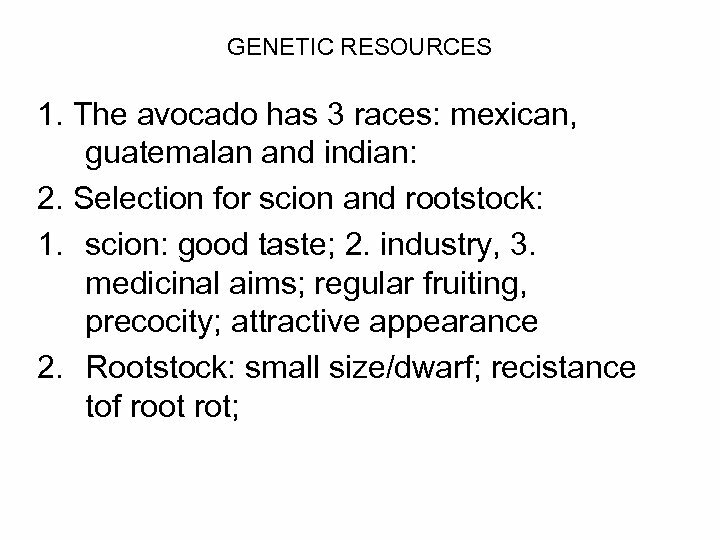 Based on some surveys conducted by the students ther are some avocado types. OTHER ASPECTS • Avocados contain oleic acid, a monounsaturated fat that may help to lower cholesterol. In one study of people with moderately high cholesterol levels, individuals who ate a diet high in avocados showed clear health improvements. After seven days on the diet that included avocados, they had significant decreases in total cholesterol and LDL cholesterol, along with an 11% increase in health promoting HDL cholesterol. • Avocados are a good source of potassium, a mineral that helps regulate blood pressure. Adequate intake of potassium can help to guard against circulatory diseases, like high blood pressure, heart disease or stroke. In fact, the U. S. Food and Drug Association has authorized a health claim that states: "Diets containing foods that are good sources of potassium and low in sodium may reduce the risk of high blood pressure and stroke. " OTHER ASPECTS • • • Increase Your Absorption of Carotenoids from Vegetables Enjoying a few slices of avocado in your tossed salad, or mixing some chopped avocado into your favorite salsa will not only add a rich, creamy flavor, but will greatly increase your body's ability to absorb the health-promoting carotenoids that vegetables provide. 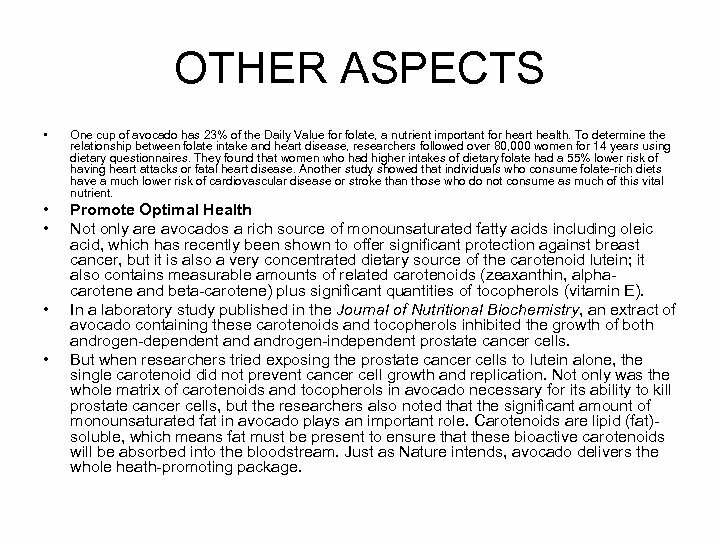 A study published in the March 2005 issue of the Journal of Nutrition tested the hypothesis that since carotenoids are lipophilic (literally, fat-loving, which means they are soluble in fat, not water), consuming carotenoid-rich foods along with monounsaturated-fat-rich avocado might enhance their bioavailability. 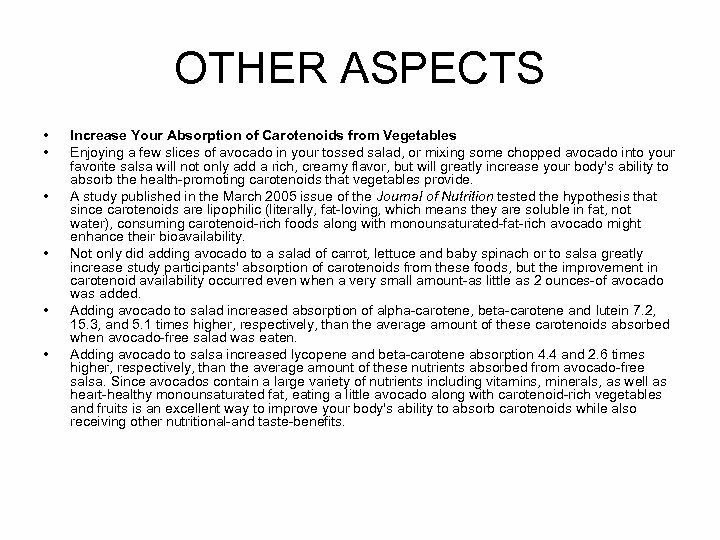 Not only did adding avocado to a salad of carrot, lettuce and baby spinach or to salsa greatly increase study participants' absorption of carotenoids from these foods, but the improvement in carotenoid availability occurred even when a very small amount-as little as 2 ounces-of avocado was added. Adding avocado to salad increased absorption of alpha-carotene, beta-carotene and lutein 7. 2, 15. 3, and 5. 1 times higher, respectively, than the average amount of these carotenoids absorbed when avocado-free salad was eaten. 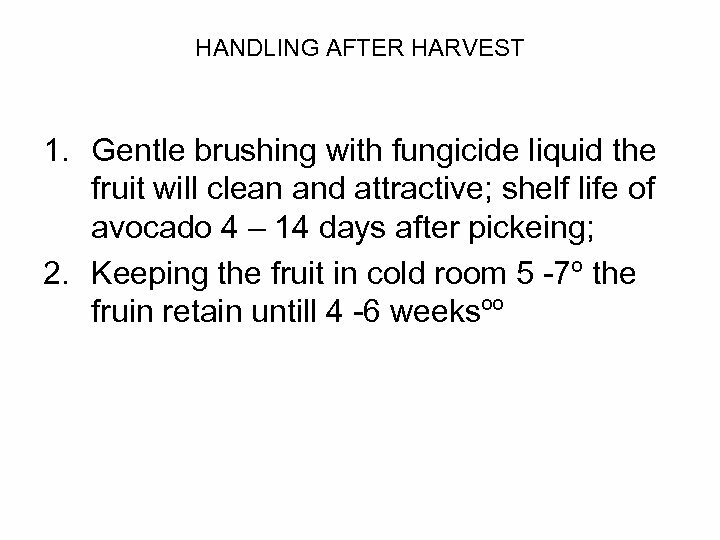 Adding avocado to salsa increased lycopene and beta-carotene absorption 4. 4 and 2. 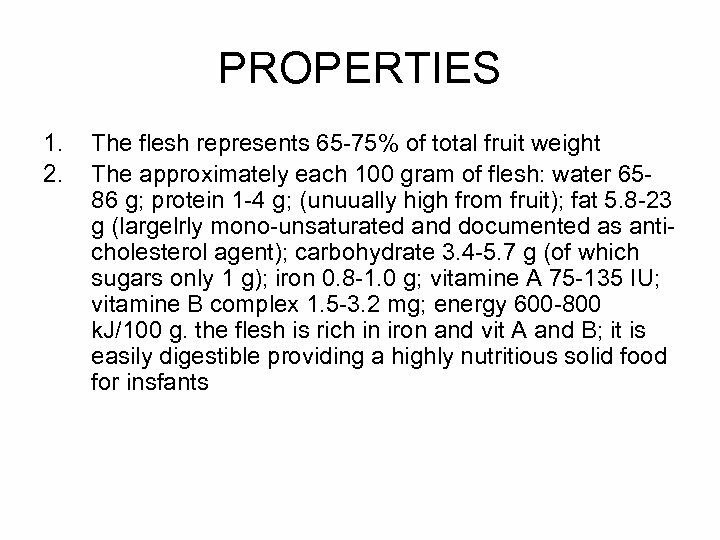 6 times higher, respectively, than the average amount of these nutrients absorbed from avocado-free salsa. 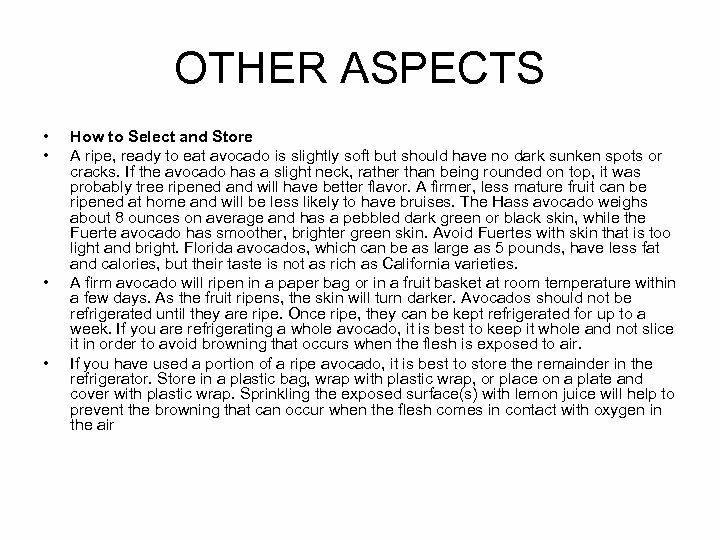 Since avocados contain a large variety of nutrients including vitamins, minerals, as well as heart-healthy monounsaturated fat, eating a little avocado along with carotenoid-rich vegetables and fruits is an excellent way to improve your body's ability to absorb carotenoids while also receiving other nutritional-and taste-benefits. 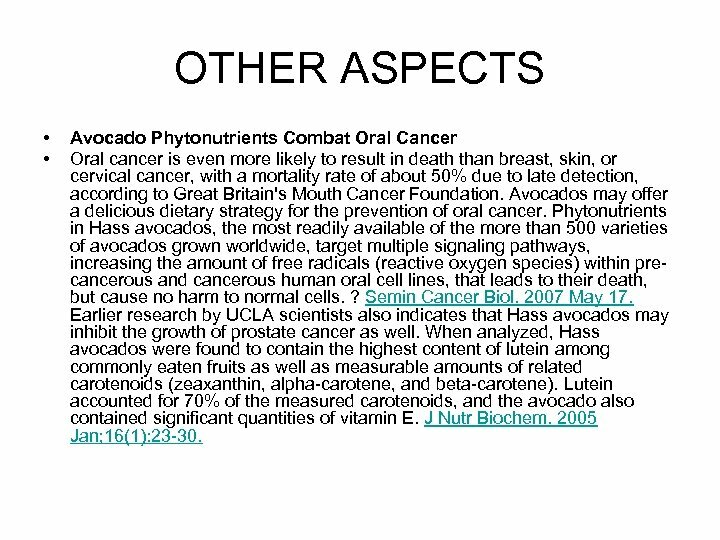 OTHER ASPECTS • • Avocado Phytonutrients Combat Oral Cancer Oral cancer is even more likely to result in death than breast, skin, or cervical cancer, with a mortality rate of about 50% due to late detection, according to Great Britain's Mouth Cancer Foundation. Avocados may offer a delicious dietary strategy for the prevention of oral cancer. 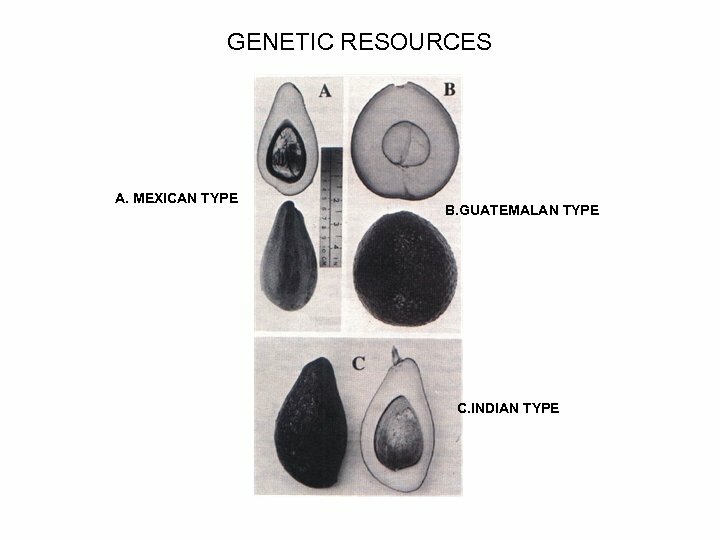 Phytonutrients in Hass avocados, the most readily available of the more than 500 varieties of avocados grown worldwide, target multiple signaling pathways, increasing the amount of free radicals (reactive oxygen species) within precancerous and cancerous human oral cell lines, that leads to their death, but cause no harm to normal cells. ? Semin Cancer Biol. 2007 May 17. Earlier research by UCLA scientists also indicates that Hass avocados may inhibit the growth of prostate cancer as well. 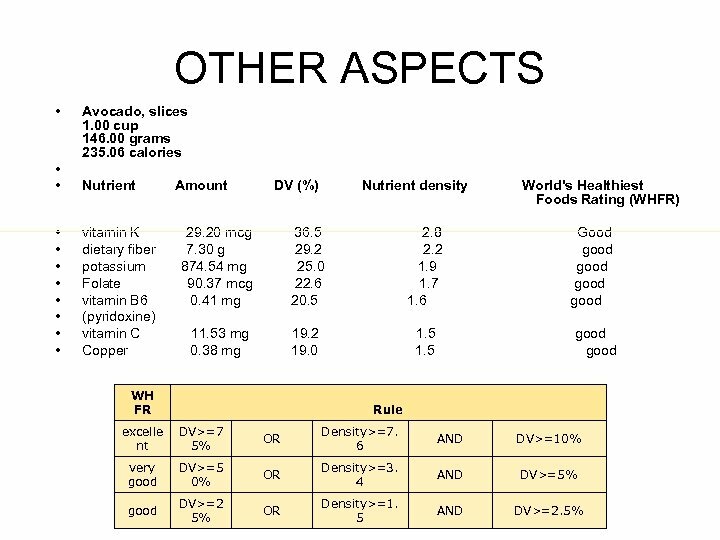 When analyzed, Hass avocados were found to contain the highest content of lutein among commonly eaten fruits as well as measurable amounts of related carotenoids (zeaxanthin, alpha-carotene, and beta-carotene). Lutein accounted for 70% of the measured carotenoids, and the avocado also contained significant quantities of vitamin E. J Nutr Biochem. 2005 Jan; 16(1): 23 -30. 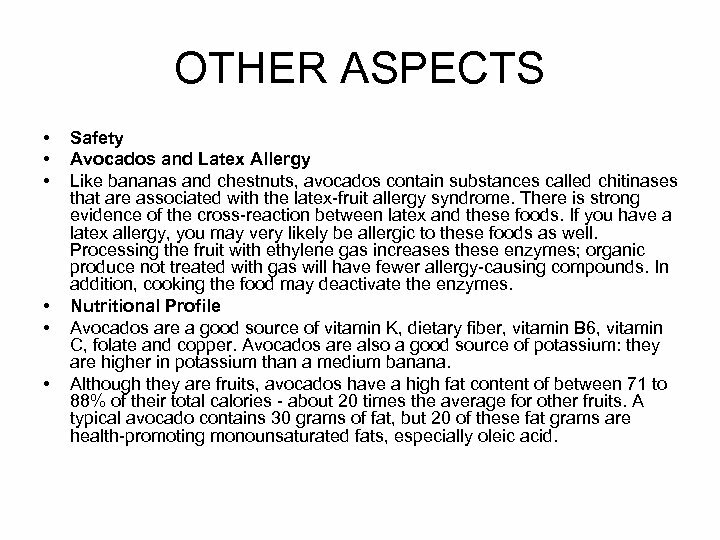 OTHER ASPECTS • • • Safety Avocados and Latex Allergy Like bananas and chestnuts, avocados contain substances called chitinases that are associated with the latex-fruit allergy syndrome. 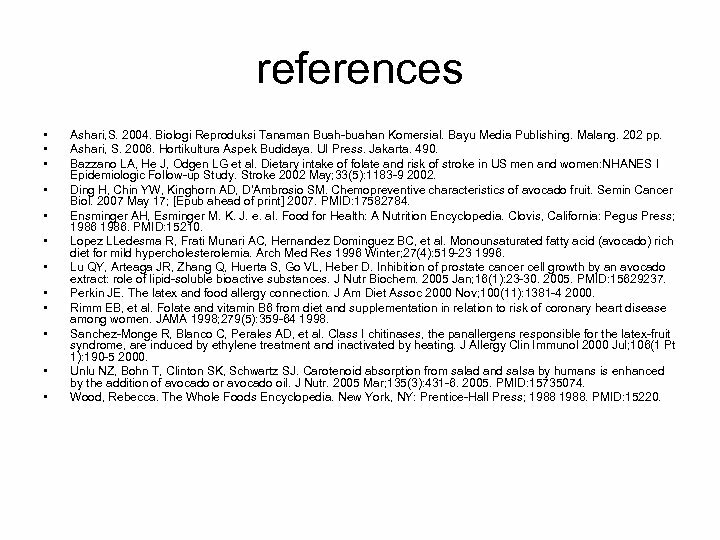 There is strong evidence of the cross-reaction between latex and these foods. If you have a latex allergy, you may very likely be allergic to these foods as well. Processing the fruit with ethylene gas increases these enzymes; organic produce not treated with gas will have fewer allergy-causing compounds. In addition, cooking the food may deactivate the enzymes. Nutritional Profile Avocados are a good source of vitamin K, dietary fiber, vitamin B 6, vitamin C, folate and copper. Avocados are also a good source of potassium: they are higher in potassium than a medium banana. 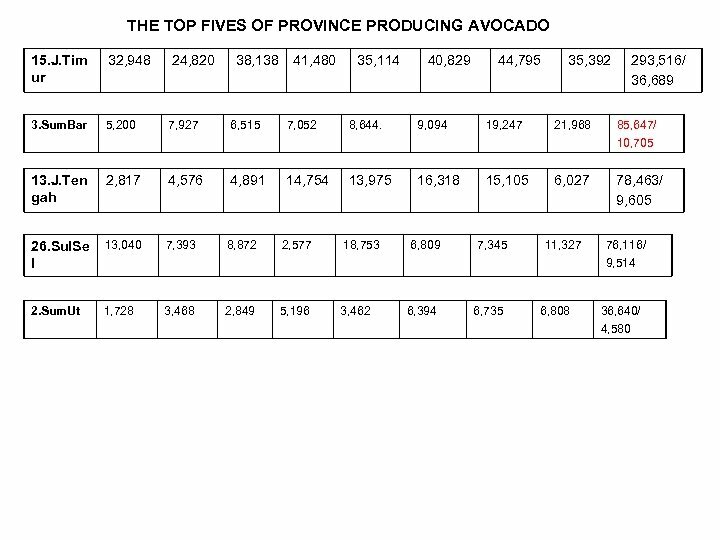 Although they are fruits, avocados have a high fat content of between 71 to 88% of their total calories - about 20 times the average for other fruits. A typical avocado contains 30 grams of fat, but 20 of these fat grams are health-promoting monounsaturated fats, especially oleic acid. references • • • Ashari, S. 2004. 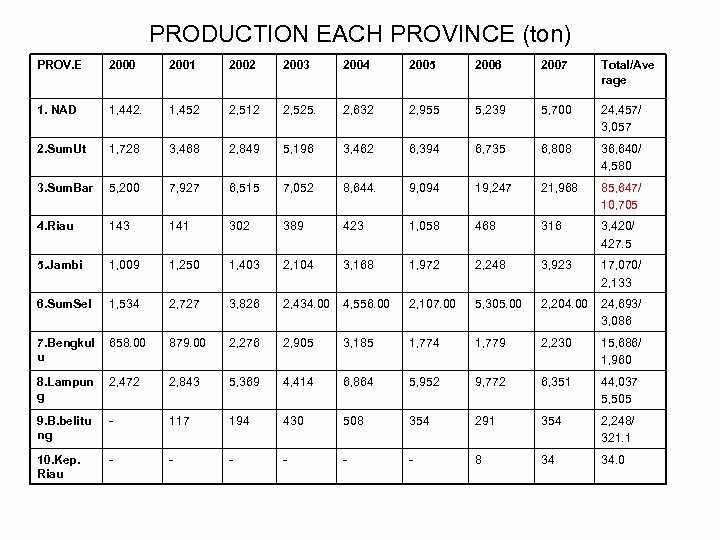 Biologi Reproduksi Tanaman Buah-buahan Komersial. Bayu Media Publishing. Malang. 202 pp. Ashari, S. 2006. Hortikultura Aspek Budidaya. UI Press. Jakarta. 490. Bazzano LA, He J, Odgen LG et al. Dietary intake of folate and risk of stroke in US men and women: NHANES I Epidemiologic Follow-up Study. Stroke 2002 May; 33(5): 1183 -9 2002. Ding H, Chin YW, Kinghorn AD, D'Ambrosio SM. 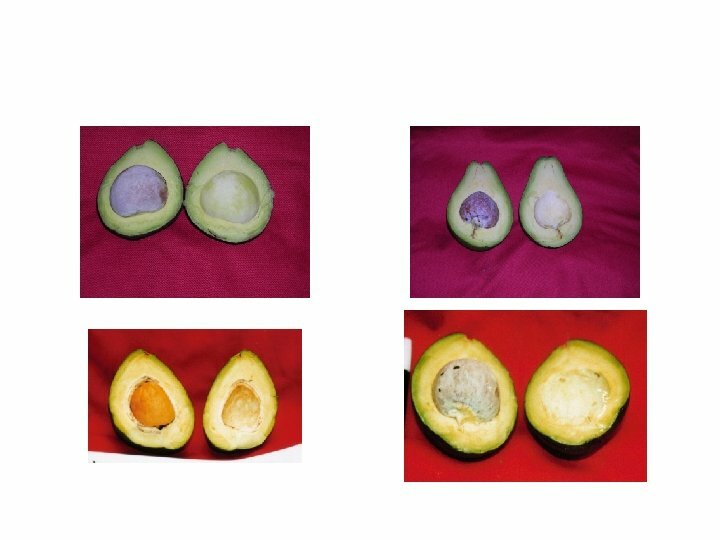 Chemopreventive characteristics of avocado fruit. Semin Cancer Biol. 2007 May 17; [Epub ahead of print] 2007. PMID: 17582784. Ensminger AH, Esminger M. K. J. e. al. 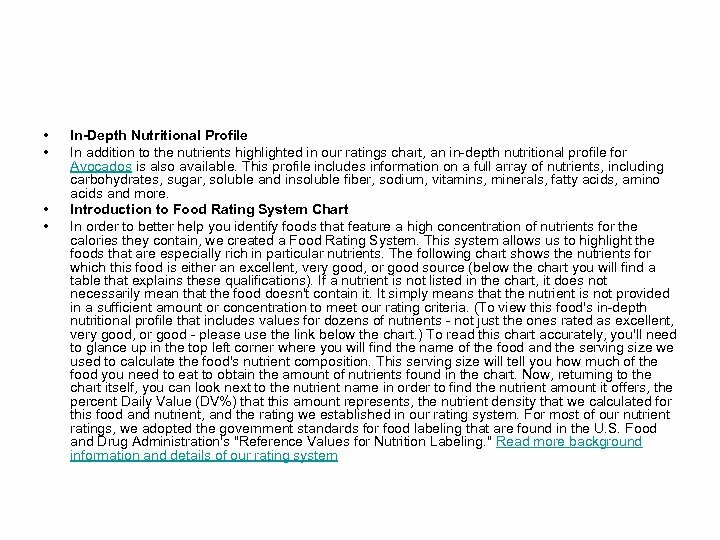 Food for Health: A Nutrition Encyclopedia. Clovis, California: Pegus Press; 1986. PMID: 15210. Lopez LLedesma R, Frati Munari AC, Hernandez Dominguez BC, et al. 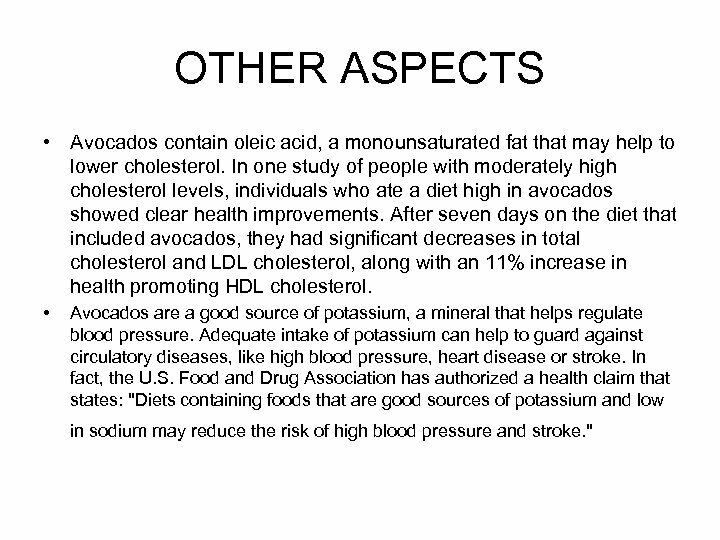 Monounsaturated fatty acid (avocado) rich diet for mild hypercholesterolemia. Arch Med Res 1996 Winter; 27(4): 519 -23 1996. 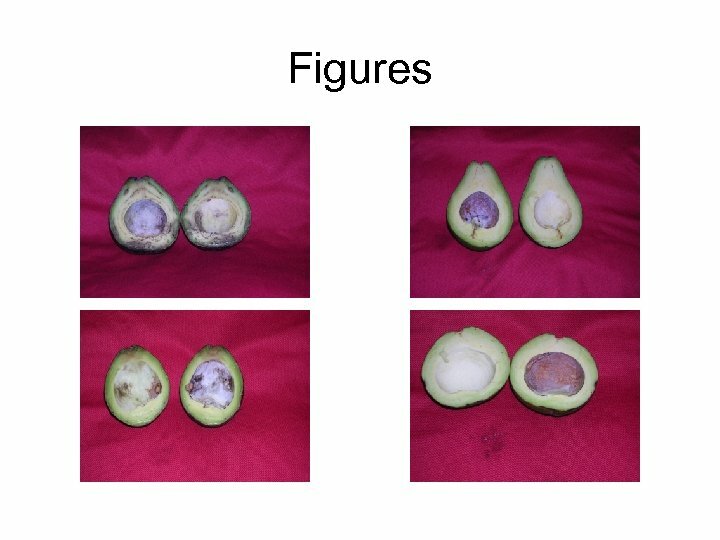 Lu QY, Arteaga JR, Zhang Q, Huerta S, Go VL, Heber D. Inhibition of prostate cancer cell growth by an avocado extract: role of lipid-soluble bioactive substances. J Nutr Biochem. 2005 Jan; 16(1): 23 -30. 2005. 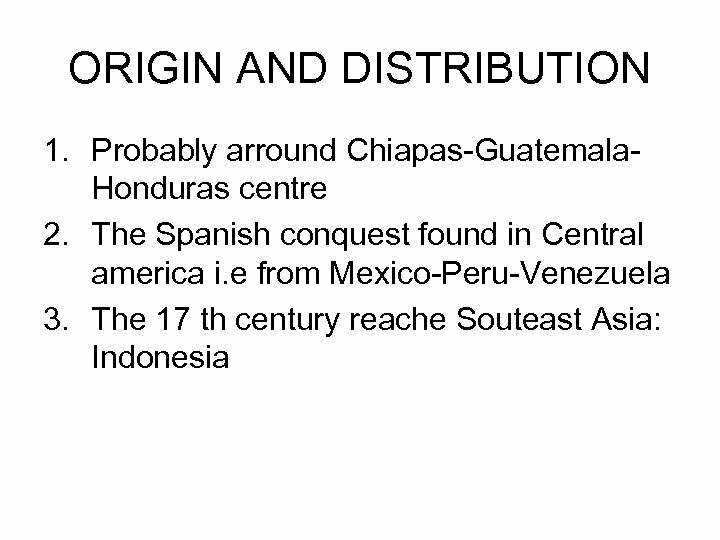 PMID: 15629237. Perkin JE. The latex and food allergy connection. J Am Diet Assoc 2000 Nov; 100(11): 1381 -4 2000. Rimm EB, et al. Folate and vitamin B 6 from diet and supplementation in relation to risk of coronary heart disease among women. JAMA 1998; 279(5): 359 -64 1998. Sanchez-Monge R, Blanco C, Perales AD, et al. Class I chitinases, the panallergens responsible for the latex-fruit syndrome, are induced by ethylene treatment and inactivated by heating. J Allergy Clin Immunol 2000 Jul; 106(1 Pt 1): 190 -5 2000. Unlu NZ, Bohn T, Clinton SK, Schwartz SJ. Carotenoid absorption from salad and salsa by humans is enhanced by the addition of avocado or avocado oil. J Nutr. 2005 Mar; 135(3): 431 -6. 2005. PMID: 15735074. Wood, Rebecca. The Whole Foods Encyclopedia. New York, NY: Prentice-Hall Press; 1988. PMID: 15220.